Before becoming one of the most well-known members of the Black Power movement, Alice Faye Williams was not unlike any other poor, African American girl growing up in the impoverished South. But when her family moved to New York during the radical sixties, she became intoxicated by the promise of social change. 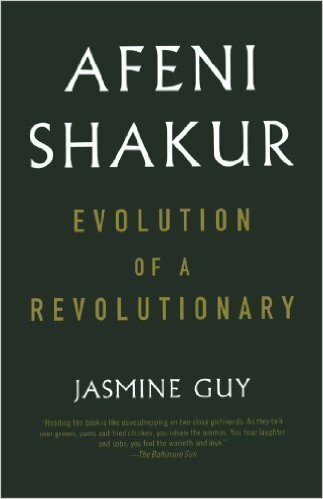 By the time she turned twenty-one, Alice had a new name -- Afeni Shakur, derived from the Yoruba term for "lover of people" -- and a new vision for the future. The rest is history. In 1969, Afeni was arrested along with other members of the Black Panther party on 189 felony charges that included 30 counts of conspiracy. Though she was eventually acquitted of the charges, Afeni spent eleven months in jail before being released. Once on bail, she became pregnant with a son: Tupac Amaru Shakur, a rap megastar until his tragic death in 1996. In this searing work, renowned actress and Afeni's trusted friend Jasmine Guy reveals the evolution of a woman through a series of intimate conversations on themes such as love, death, race, drugs, politics, music, and of course her son. Filled with startling revelations and heartbreaking truths, Afeni's memoir is a powerful testament to the human spirit and the perseverance of the African American people.